Wedding business in Kenya: Ben Maina is a serial innovator, a man with a knack for creating new things. 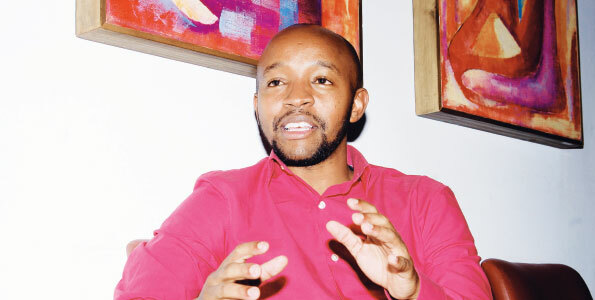 He is credited with conceptualising e-commerce brands such as Zuku and Rupu. For the 32-year-old man, identifying gaps and making solutions is literally his bread and butter. Setting up blissful.co.ke a year ago to cater for the wedding and events industry came naturally to him. “I never desired to do the same things repeatedly. I wanted to explore,” say the Strathmore University alumnus, adding that his mother’s entrepreneurial spirit spurred him on. After pursuing a degree in Business Information Technology he developed a passion for e-products. The new tool (blissful) acts as a virtual spot for suppliers and clients to meet for service transactions. The online portal has over 1,500 registered businesses and thousands of couples who rely on it. “On a daily basis, we get about 10-20 quotation requests that are shown to the registered businesses. We are an active site that helps bridge the divide and help those getting married find the requisite help from service providers,’’ says Maina. 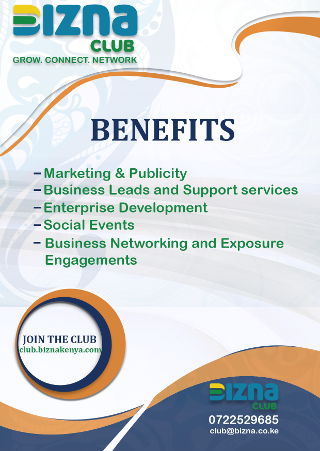 The platform generates business worth Sh15 million monthly for service providers in Kenya. Maina was ever the aggressive kind and during his first year at the university, he got a job with Africa Online Group. “In 2006, the Internet Service Providers industry was not buzzing and so getting a job with a top organisation was a big deal,’’ he adds. His CEO trusted him to run a special project for the company when he was 22 years and he put his best foot forward to make a statement. “My boss felt I was underutilised and assigned me the role of creating a new product for the market. In the three months I created I-Burst, a wireless Internet service package for homes. The reception was surprisingly good, showing we were creating impact,” he says. He was headhunted by Wananchi Group even before his graduation in 2008. Not one to turn down an opportunity, Maina jumped right in. “It was an honour being tipped to play a part in transformation. The company did not have a marketing department, so I stepped in to take charge of their Triple Play Service, later rebranded to Zuku. It was a hit with Internet lovers as it offered many services provider one platform,’’ he says. His two-year stint at the organisation exposed him to dealing with customers and gave him a better understanding of the needs of the market. “I felt I had gained experience and it was time to make the plunge on my own. My four years work experience had provided good contacts and networks and I felt confident about making it on my own,” he says. In retrospect he admits that his move was a gamble that paid off when he got numerous consultancy gigs as a marketer and product management. One incident that showed him that he was ready to give it his all to make it in business was the 2010 Football World Cup in South Africa. “I had bought a ticket to watch the Nigeria versus Argentina game, but then it hit me I needed to save the money to re-invest in my job. That is how I opted not to travel and eventually re-sold the ticket on FIFA.com,’’ he says. Through a mutual friend, he met Munyutu Waigi, a Kenyan entrepreneur living at the UK. The two hit it off as they shared basically the same idea of revolutionising commerce in Africa. After due diligence and proper market research Rupu was born. It is an online marketplace where different goods and service are traded. “It was a whole new arena for me, but it was worthwhile. After getting a grasp of the vision of the product from the parent company, groupon.com we figured the strategy could suit the market well,’’he said. The following feature was first published in the People Daily.